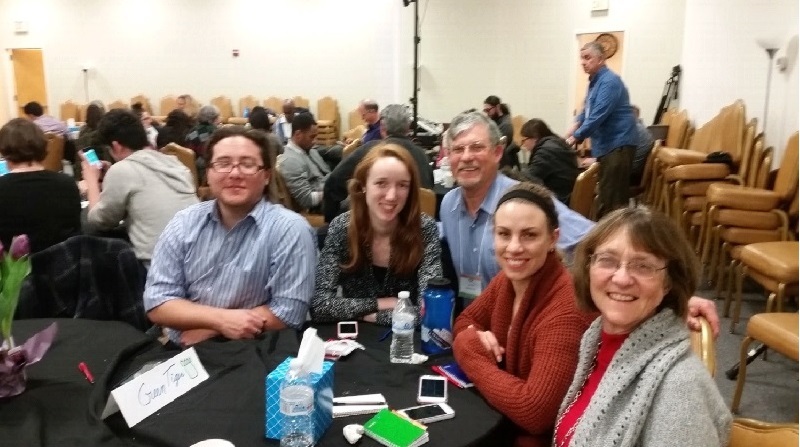 Project Phoenix staffers and some invited guests from other locations joined over fifty local participants from the Washington, D.C., Maryland, and Virginia (DMV) area for the latest Project Phoenix event at the Maryland Family Center on March 3rd – 5th. In all, just over seventy people engaged in Honoring the Generations, sharing deep testimonies through their own lenses, deep discussions in their “families,” profound prayer partner experiences, a raucous round of Rochambeau (rock, paper, scissors), and laugh-out-loud-funny Fishbowl. 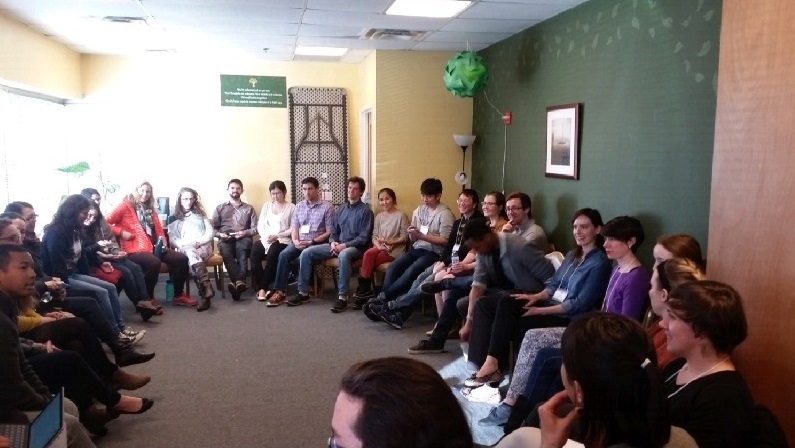 At last year’s strategic planning retreat, the staff decided to create regional events that would focus on Unification communities. The hope was that if enough people from a community went through the Project Phoenix program it could provide inspiration, tools, and support for communities to bridge relationships between elder and younger Unificationists, creating new possibilities for community growth. This intention was substantialized in Maryland. Project Phoenix – DMV (D.C, Maryland, and Virginia) was patterned after previous Project Phoenix programs but with an important distinction: Most of the participants live in the same community, and participants included a number of parents and their children. This led to some unexpected results. Honoring the Generations was a lively session, and became quite moving when Beverly Berndt shared through many tears what many seniors want the younger generation to understand about them. The testimonies, or Through Our Lens session, which followed began with a somewhat subdued feeling in the room after the emotional sharing of the early morning, but as Mark Anderson, Tasnah Moyer, Jin Kwon Kim, and Catherine Ono began sharing, the intensity built and it was once again the high point of the program. The number of parents and children in the room was a defining feature of this Project Phoenix event and the testimonies helped to open up new opportunities and ways for families to share, as Gregg Jones shared in a testimony in church on Sunday. After a raucous series of games, seniors and juniors once again split into groups to discuss the question “What does our community need?” Each group returned together to share their lists. After dinner, everyone was full. The meals from Amael Rodrigues were sensational, and the powerfully emotional day left everyone filled to the brim. The day ended with affirmations within each family, reflections, and a lot of hugs and pictures. “On the specific action front, two activities are happening. Caroline Koertvelyessr, a 2nd gen newer to the community, has organized the Young Adult Forum for this Sunday after church. She is working with Jin Kwon Kim and Beverly Berndt. I expect a great turnout and moving the effects of Phoenix to the next level. “Also, Sarah Oben and Susan Fefferman will be organizing “Continuing the Conversation” meetings once a month for all Phoenix grads and newbies that might want to join. The original idea is to do it in family homes, but the details are still being ironed out. A program like this requires a lot of effort. Special thanks to Jin Kwon Kim and Catherine Ono who co-chaired the event. 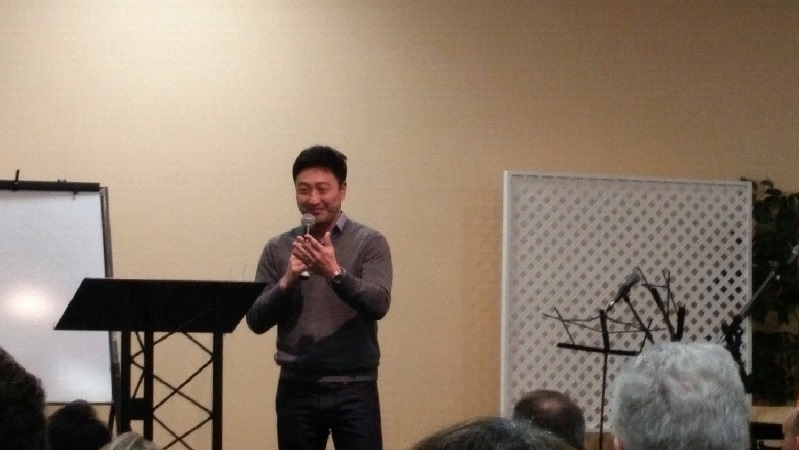 Jin Kwon did heroic work traveling from New Jersey to Maryland a number of weekends to help organize the local staff. Henri and Loretta Schauffler were also instrumental in organizing many of the logistics and serving as a spiritual central point in the community.